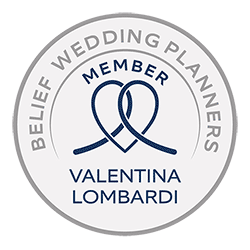 ceremony at Villa Gippini is a dream that comes true. 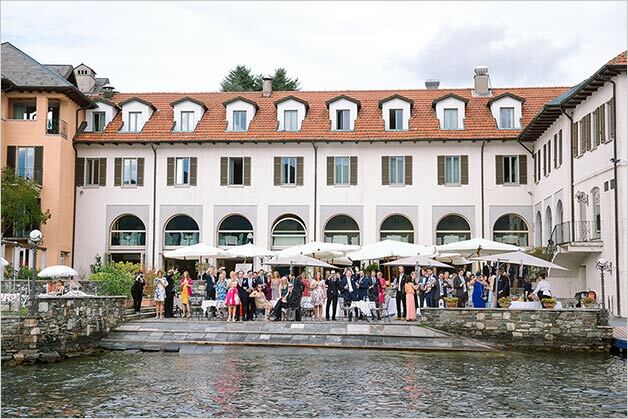 Villa Gippini is a very special venue on all Lakes District. A real baroque jewel facing Lake Orta waters. 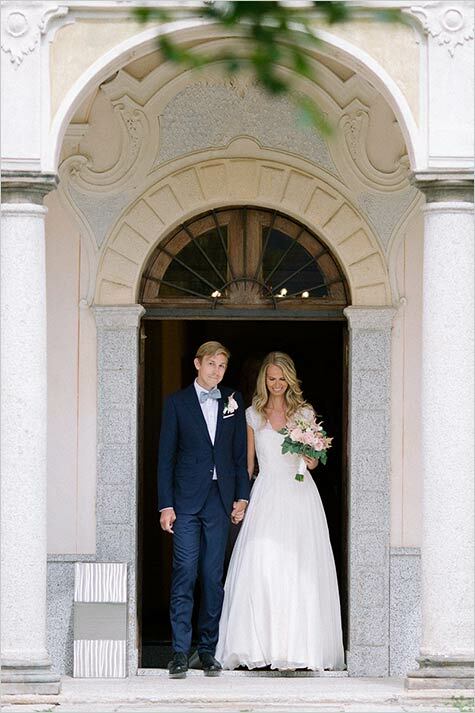 Villa Gippini beauty enchanted Maria and Niklas. 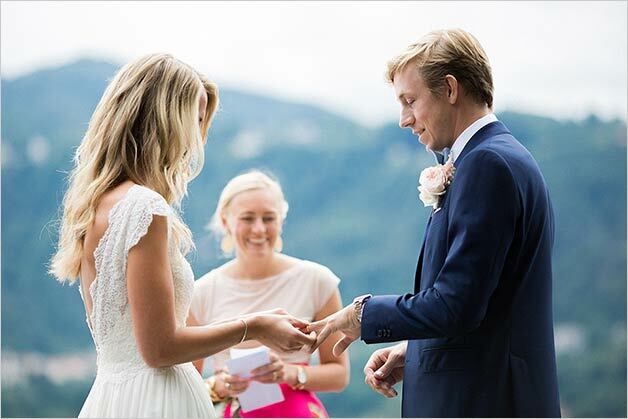 They came from Sweden and they chose Lake Orta and its villa for their special wedding destination. 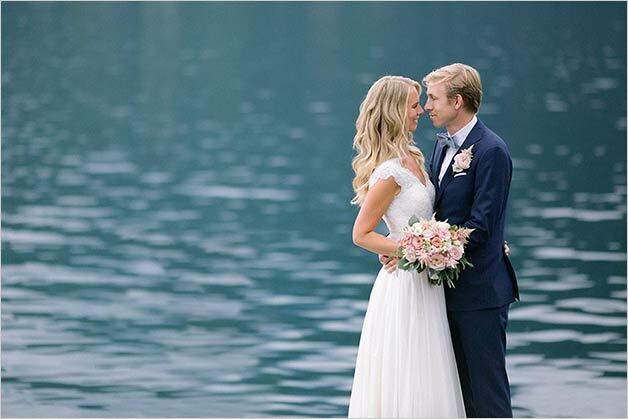 Camilla Anchisi photographer followed Maria and Niklas on their dream wedding on Lake Orta. Camilla is literally in love with natural light and romantic aesthetic. 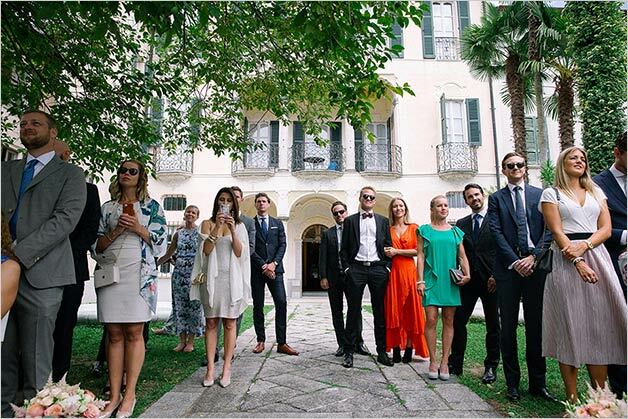 She loves Lake Orta and you can really tell it from the photos you see in this post. 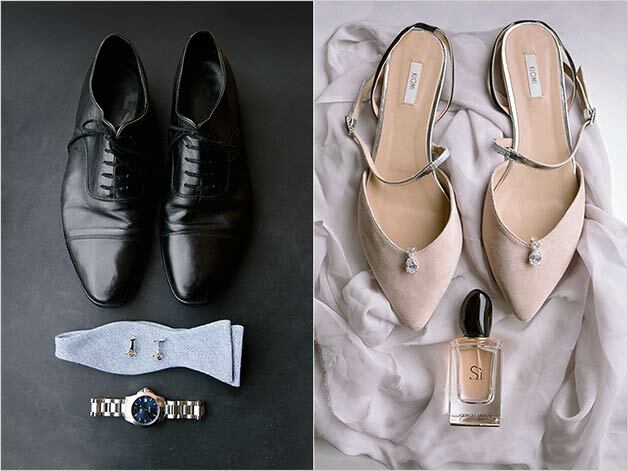 Warm and natural images taken with soul. 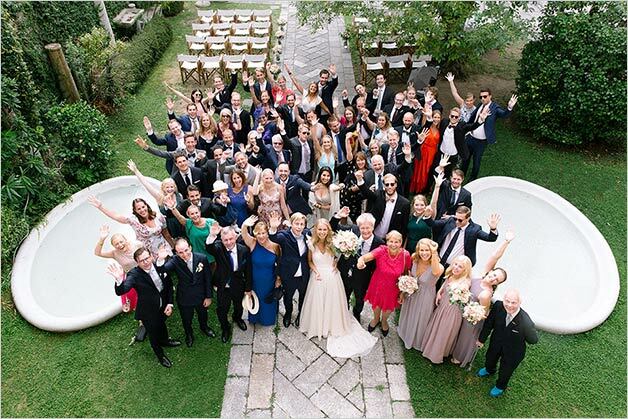 Back to our Swedish bride and groom, they chose Villa Gippini as wedding ceremony venue. Villa Gippini was but back in 1700 as noble mansion for Gippini Family. 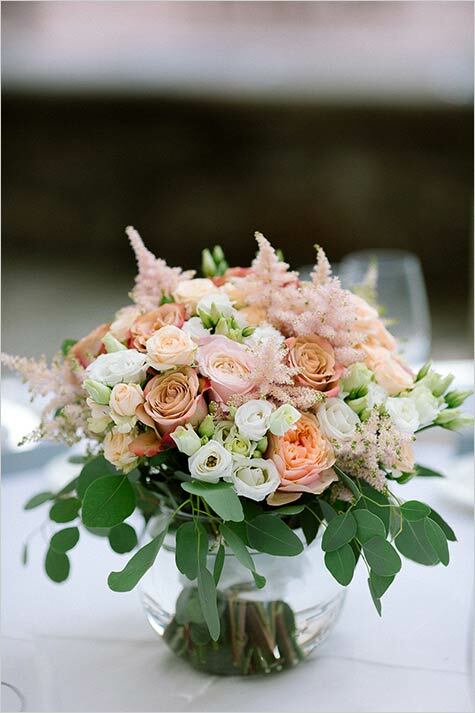 During the 80s Hotel San Rocco included it in its property as dependance. 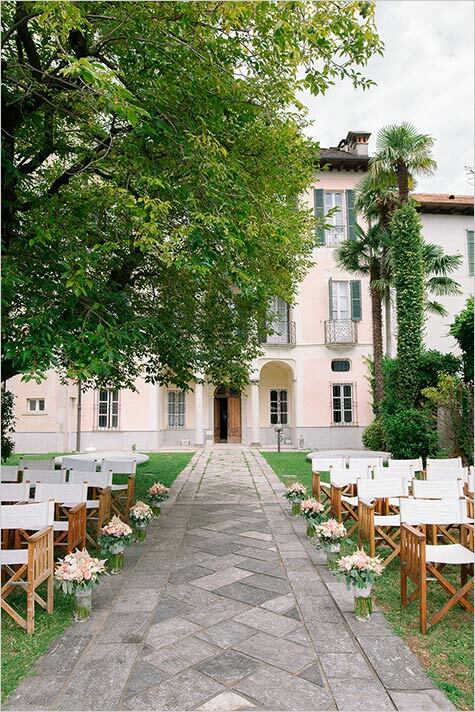 Inside Villa Gippini there are elegant suites and rooms with 1800 frescoes on the ceilings and on the walls. 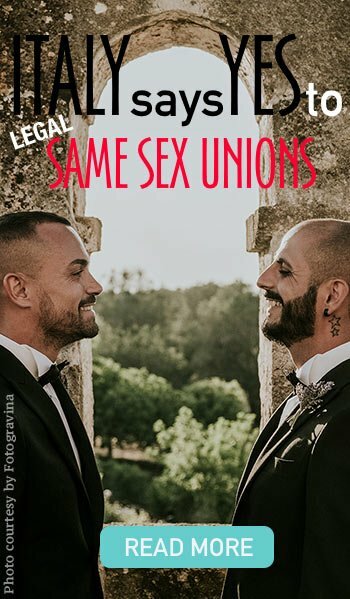 A real jewel. 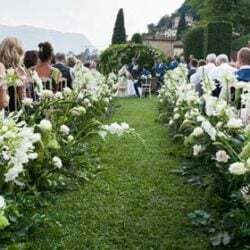 Being Hotel San Rocco dependence, Villa Gippini romantic garden can be used for wedding ceremonies and aperitif with dinner to follow. They on the bigger terrace overlooking the lake and St. Julius Island. 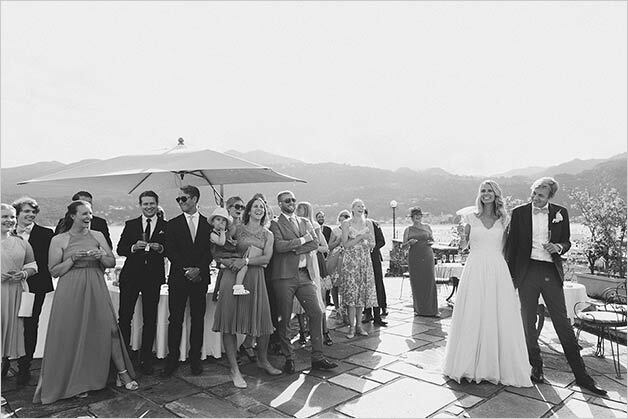 Close by Villa Bossi is the only venue on Lake Orta that can host legal civil ceremonies. 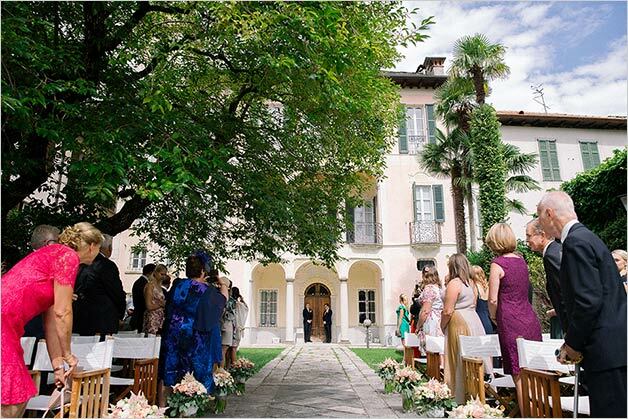 Villa Gippini can hosts symbolic ceremonies. 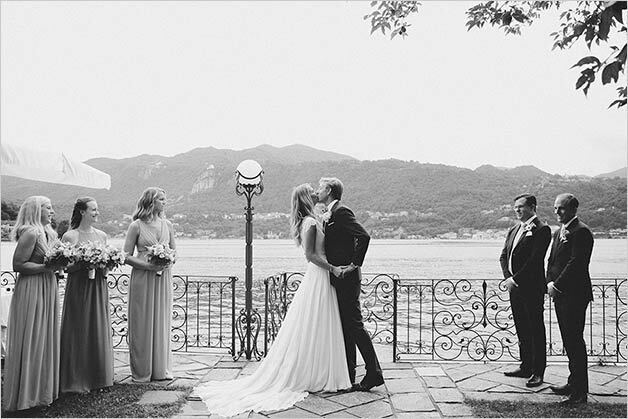 Maria and Niklas had a very romantic wedding on Lake Orta. 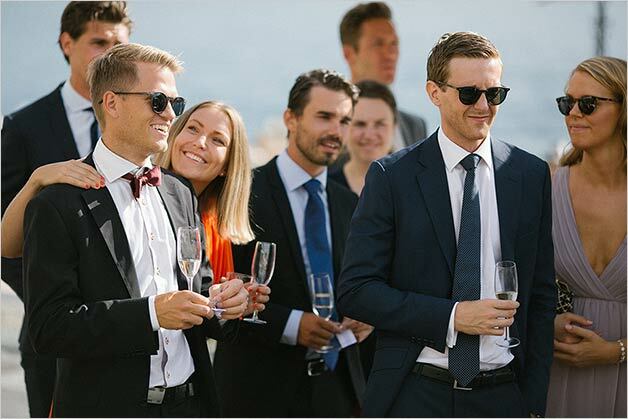 They hosted an intimate group of guests coming from Sweden. 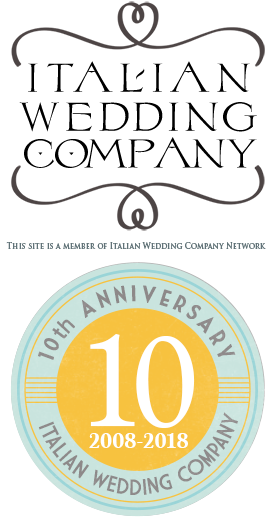 Who all spent their Italian days at Hotel San Rocco. 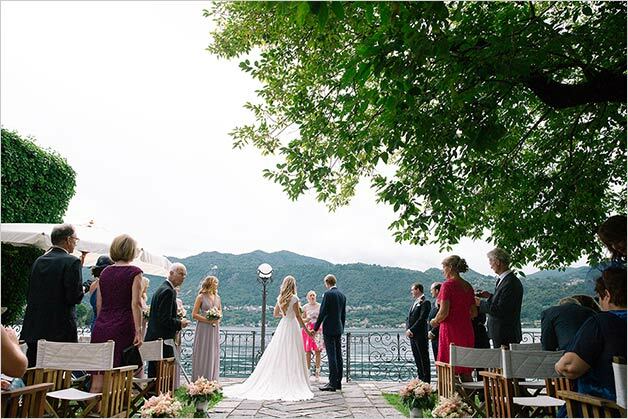 A cosy atmosphere overlooking magic charm of Lake Orta. 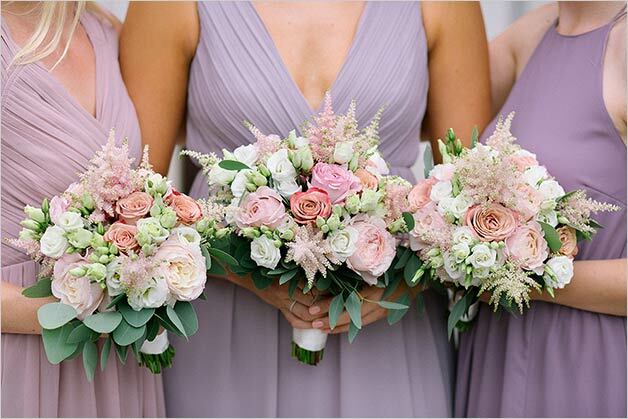 Paola from La Piccola Selva Floral Designer created all floral arrangements: bridal bouquet, bridesmaids bouquets, ceremony arrangement and wonderful centrepieces on main terrace of Hotel San Rocco. 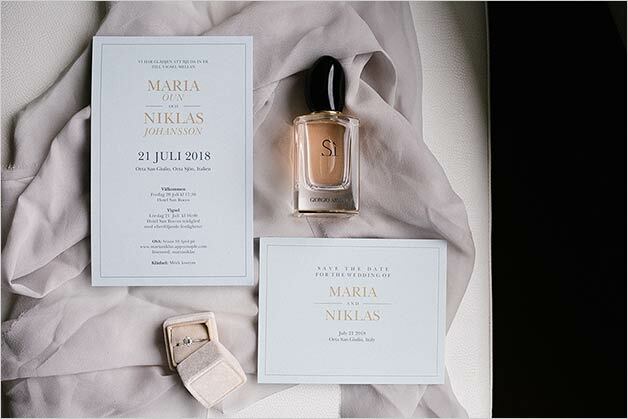 Maria and Niklas day begun early in the morning with the getting ready overlooking the lake. 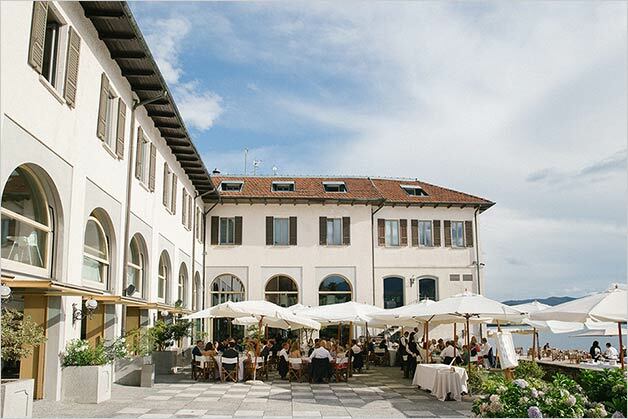 Hotel San Rocco is located in the heart of Orta San Giulio village facing the Lake and St. Julius Island. 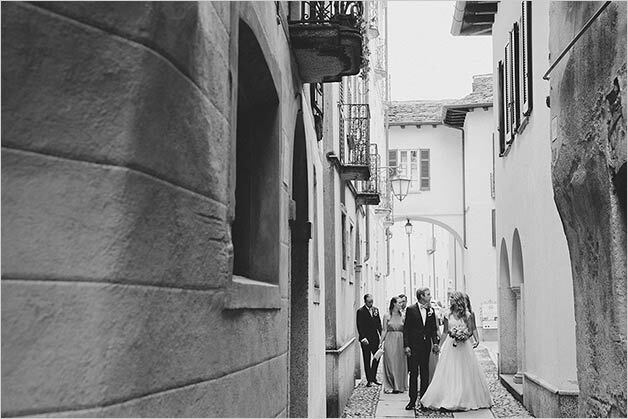 Some photos in the medieval village of Orta and then Maria and Niklas reached Villa Gippini where family and friends were all waiting for them. 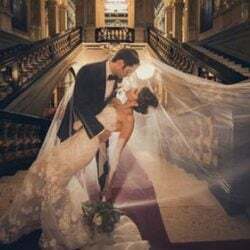 They planned the ceremony on the little iron balcony just in front of St.Julius Island. 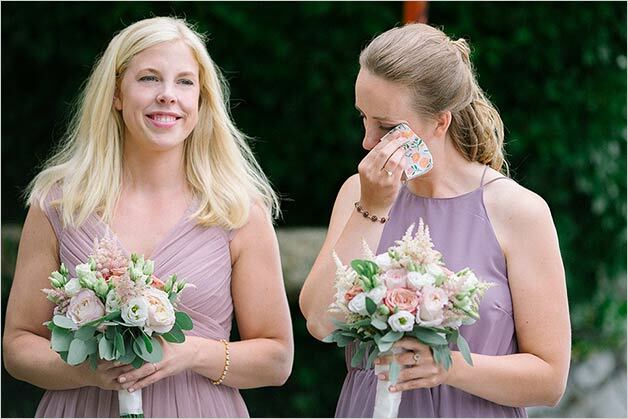 An unforgettable moment! 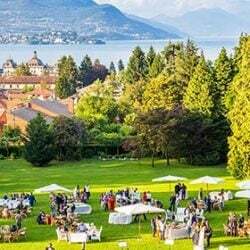 Aperitif to follow was served in the same garden of Villa Gippini and a lovely dinner was served later on on main terrace of Hotel San Rocco. 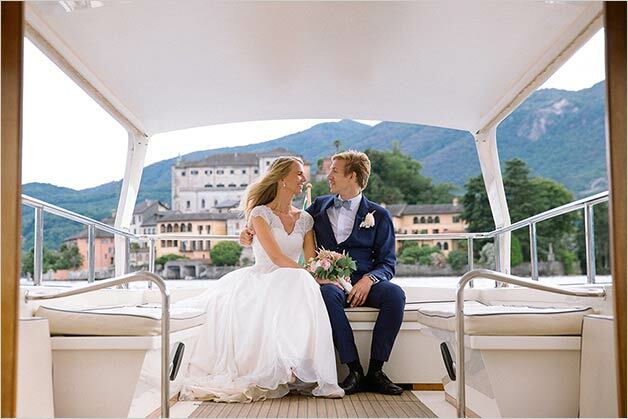 A very special thanks to Niklas and Maria who chose Lake Orta and Villa Gippini for their special destination wedding in Italy and to Camilla Anchisi for her great shots!